Built-in MP3 player with remote control for USB reader. Two Tone Siren (Wailing & Yelping) with volume control. 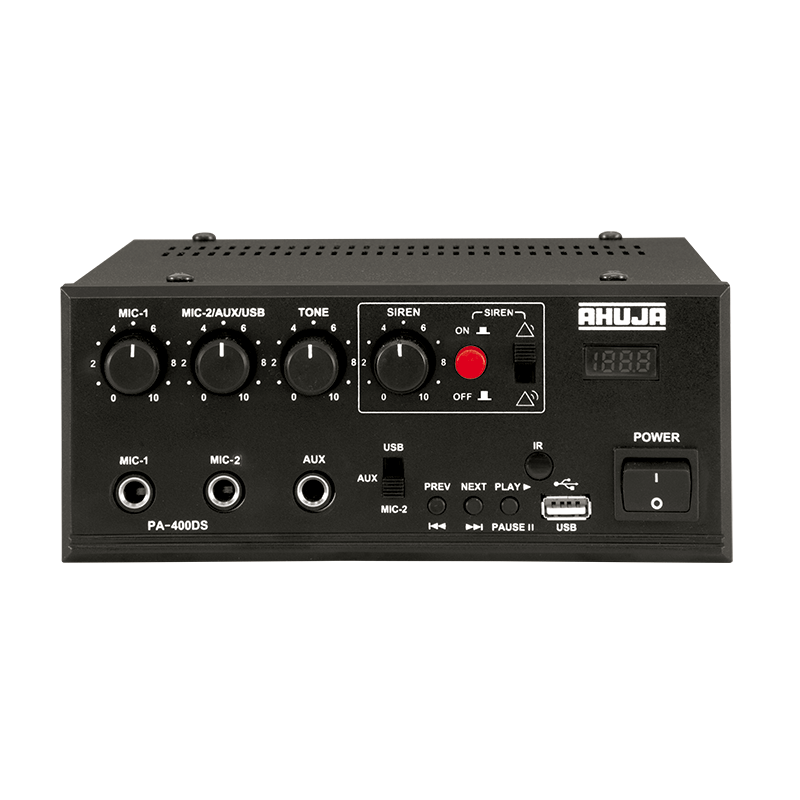 Recommended for use with Mic MM-60M & Horn speakers SUH-25/SUH-40. Ideal for Police Vehicles, Crowd Control, Ambulances, Publicity Vans, Electioneering etc.